,,Kingdom of Yugoslavia. 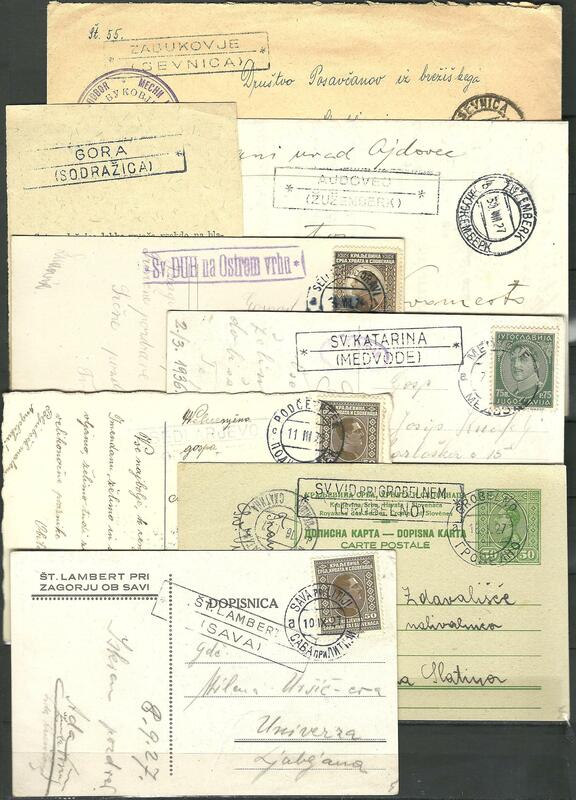 Lot of 14 postal documents bearing Slovenian auxiliary post offices cancellations. Varied quality, inspection recommended.